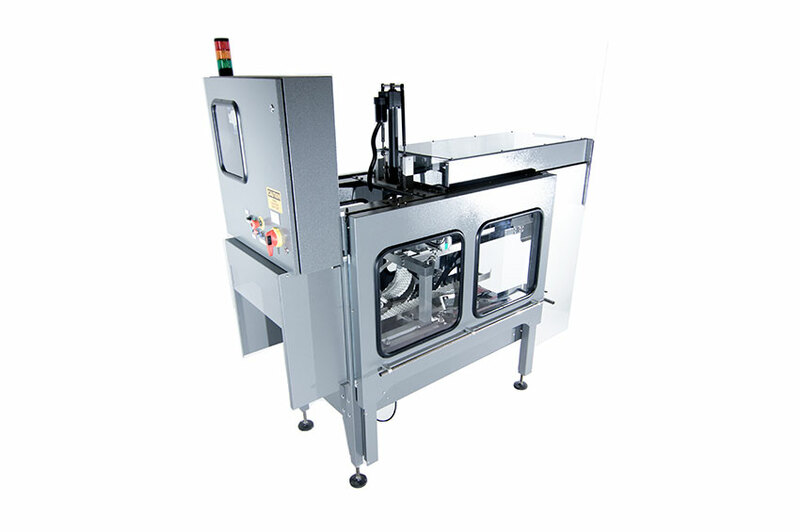 Automatic Case Sealer | Packaging Distributors Inc. The PDI Model CTA Case Sealer (patented) features rugged construction for years of top performance. It uses a driven top belt that is extended upward and outward at the entrance to move with the box and gently fold the major flaps of an RSC case. The front minor flap is closed using an actuator instead of a stationary plow and the rear minor flap folder adjusts for different case lengths. The top belts capture the major flaps (after the minor flaps have been folded) and as the top belts are moving down and towards each other, they gently fold the major flaps. Since the top belts are travelling at the same speed as the case, there is no friction between the case and the folding mechanism. Using a folding conveyor instead of a stationary bar eliminates friction between the bar and the case. Positive Minor Flap Folding: both front and rear minor flaps are positively folded instead of relying on stationary plows.